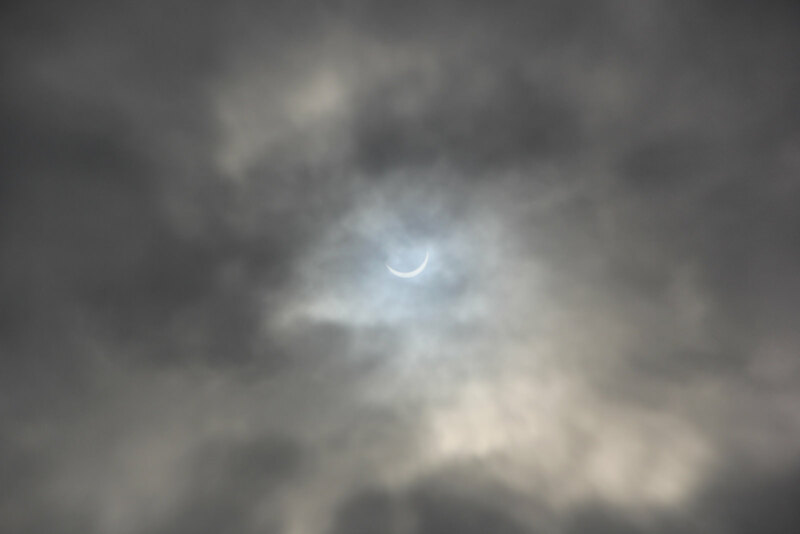 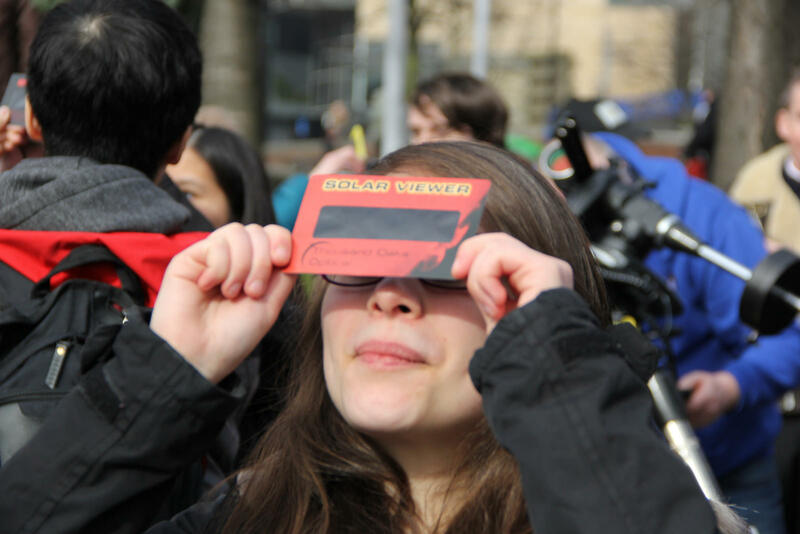 Sheffield SpaceSoc (ShefSEDS) teamed up with the Sheffield Astronomical Society to witness the spectacle of the eclipse through the clouds. 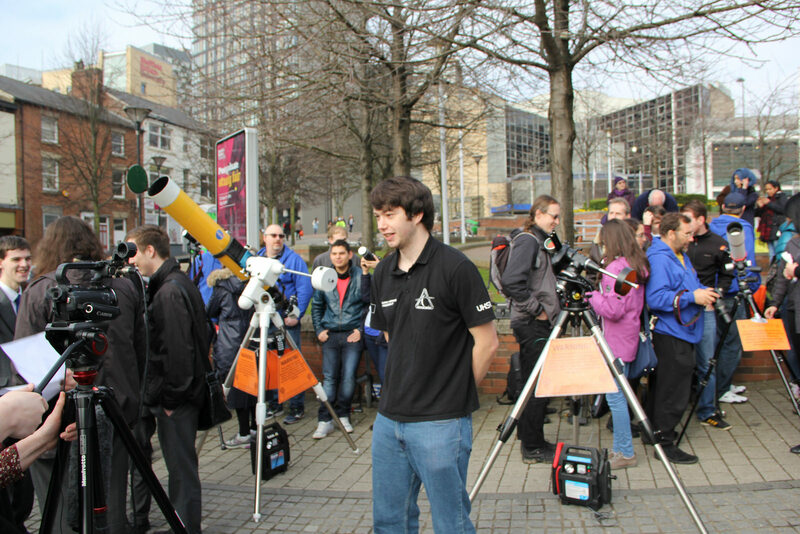 A large crowd gathered at the sight of a range of telescopes and observing equipment, with a palpable sense of excitement as the event peaked at 9:33am. 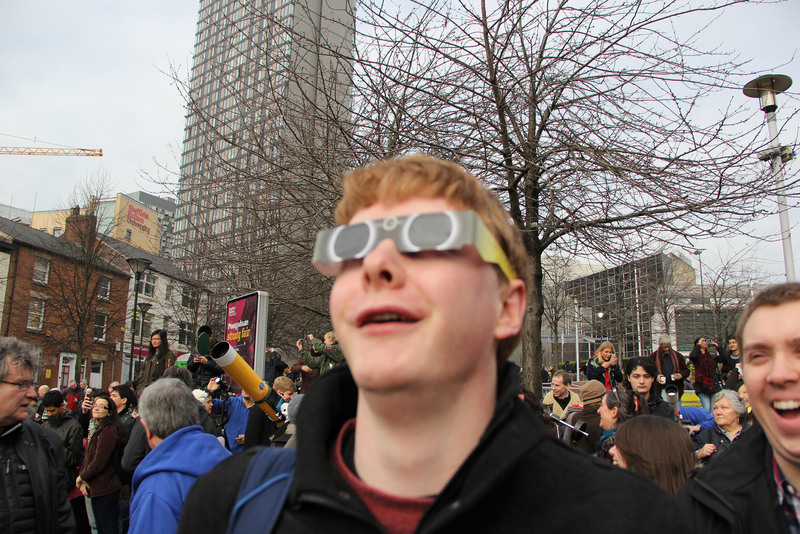 It was fantastic to see so many people enthused by the majesty of the eclipse, perhaps for many of them it’ll be the first step on the road to discovering the many joys of astronomy!